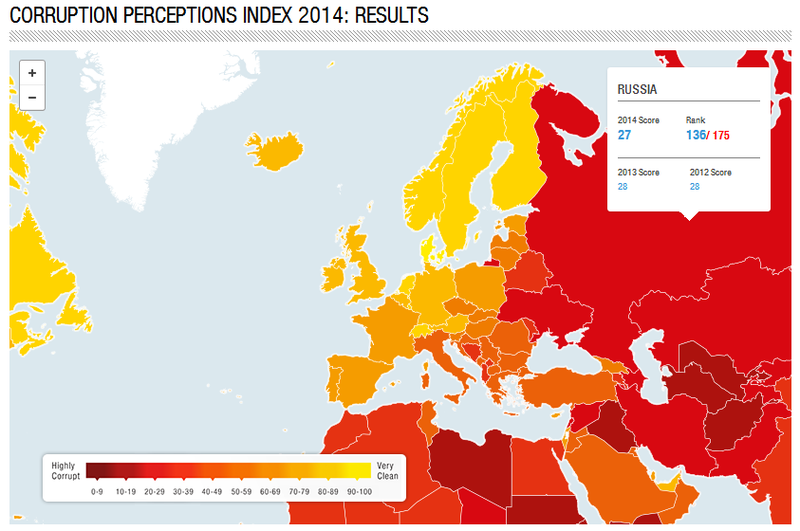 just because soviet regimes were present in the past in the same areas of europe where there are high corruption levels today does not mean the one is the cause of the other. (and anyway…look at the regions beyond europe! or southern europe, for that matter.) the relationship is certainly suspicious though, and it wouldn’t be surprising if the two were somehow connected. one way to try to settle this debate would be to look at pre-soviet corruption rates in eastern europe versus the west to see if the situation was any different beforehand. i have not done that in this post, in large part because i don’t speak any slavic or other eastern european languages, but primarily because it seemed like way too much work. instead, i’m going to take a look a civicness, a set of behaviors — along with things like intelligence, low amounts of corruption, and low levels of violence — that many researchers reckon are necessary in order to have western-style liberal democracies and economies, if that’s what you want in life. i’ll be focusing on russia, again just to kept this little project manageable. but first, italy. “Citizenship in the civic community entails equal rights and obligations for all. Such a community is bound together by horizontal relations of reciprocity and cooperation, not by vertical relations of authority and dependency. Citizens interact as equals, not as patrons and clients nor as governors and petitioners…. “Citizens in a civic community, on most accounts, are more than merely active, public-spirited, and equal. Virtuous citizens are helpful, respectful, and trustful towards one another, even when they differ on matters of substance…. but were the russians more civic-minded before the revolution? “In 1891 consumers’ societies were formed in towns among the lower-grade officials, various classes of employees, teachers, members of liberal professions, and other sections of the population. These societies were of two types. One open only to members of a particular class of officials or to employees of a particular firm or institution; the other was open to all. These latter societies were already marked by the spirit of independence. not to mention their evolutionary histories. so how did northwestern “core” europe (including northern italy) differ from russia historically as far as participation in civic institutions goes? the short answer is: civicness in “core” europe began centuries before it did in russia or the rest of eastern europe, at least 500-600, if not 800-900, years earlier. “[I]n the towns of northern and central Italy…an unprecedented form of self-government was emerging…. “Like the autocratic regime of Frederick II, the new republican regime was a response to the violence and anarchy endemic in medieval Europe, for savage vendettas among aristocratic clans had laid waste to the towns and countryside in the North as in the South. The solution invented in the North, however, was quite different, relying less on vertical hierarchy and more on horizontal collaboration. The communes sprang originally from voluntary associations, formed when groups of neighbors swore personal oaths to render one another mutual assistance, to provide for common defense and economic cooperation…. By the twelfth century communes had been established in Florence, Venice, Bologna, Genoa, Milan, and virtually all the other major towns of northern and central Italy, rooted historically in these primordial social contracts. “The emerging communes were not democratic in our modern sense, for only a minority of the population were full members…. However, the extent of popular participation in government affairs was extraordinary by any standard: Daniel Waley describes the communes as ‘the paradise of the committee-man’ and reports that Siena, a town with roughly 5000 adult males, had 860 part-time city posts, while in larger towns the city council might have several thousand members, many of them active participants in the deliberations…. in general, nothing like this existed in medieval russia (or eastern europe) — not on this scale anyway — the novgorod republic, which lasted for three centuries and came to an end in 1478, probably being the most notable exception. eastern european society was still very much founded upon the extended family for much of the period (although, again, in certain times and locales that was not the case — russia’s a big place). only a handful of merchants’ guilds were given permission to exist in russia between the fourteenth and eighteenth centuries, and the powers that be (including the orthodox church) regularly suppressed craftsmen’s guilds [pg. 13]. by contrast, northern italy was full of civic-mindedness already by the high middle ages. “‘The laws of King Alfred of Wessex, dated to 892-893 or a few years earlier, are more informative about the *gegildan*. Again, the context is murder and the wergild — the compensation required for the crime. By Alfred’s time, if not during Ine’s, the *gegildan* is clearly a group of associates who were not related by blood. The clearest example of this is in chapter 31 of the laws: ‘If a man in this position is slain — if he has no relatives (maternal or paternal) — half the wergild shall be paid to the king, and half to the *gegildan*.’ No information exists on the purpose of the *gegildan* other than its role as a substitute for kinship ties for those without any relatives. These associates, who presumably were bound together by an oath for mutual protection, if only to identify who was responsible, would benefit anyone, whether the person had relatives or not…. Although the evidence from the laws of Ine may be read either way, the *gegildan* seems to be an old social institution. As seen more clearly in the tenth and eleventh centuries, it acquired additional functions — a policing role and a religious character. “‘The nobles, clergy, and commoners of London agreed upon a series of regulations for the city, with the encouragement and approval of King Athelstan, who caused the rules to be set down some time in the late 920s or 930s. The primary purpose of these ordinances was to maintain peace and security in the city, and all those supporting these goals had solemnly pledged themselves to this *gegildan*. This type of inclusive guild, sometimes referred to as a peace guild, was an attempt to create one more additional level of social responsibility to support the king and his officials in keeping the peaces. This social group of every responsible person in London is a broad one, and the law does not use the term *gegildan* to describe the association in general…. the gegildan of early medieval england, then — a voluntary association, a fraternity — appeared on the scene something like two hundred years before the communes of northern italy arose, three hundred plus years before the novgorod republic was formed, and nearly nine hundred years before the russians gave civiness another shot (after novgorod). i’m not aware of any earlier such associations in western medieval europe, although they may have existed. it appears, too, that the gegildan appeared in situ in england, a newly developed social structure to take over some of the earlier functions of the rapidly disappearing kindred (including feuding and protection), although maybe the concept was imported from the carolingians — the heart of the preceding frankish kingdoms, austrasia, was where manorialism had begun, which was then imported across the channel, so perhaps the gegildan concept was as well. whatever the case, it’s in the core of “core” europe, once again, that we find the earliest evidence for behavioral patterns that are now the hallmarks of western civilization: late marriage and nuclear families, lowest levels of cousin marriage for the longest period of time, low levels of violence, high levels of civic-mindedness (see above), universalism, unparalleled accomplishment — they all appear earliest (in medieval europe), and are still the strongest, in this central area (very roughly the area indicated by the green oval on this map). so, now we come to it: why? why was it “evident” by the end of the nineteenth century that there were two europes, and what do all these long-standing historical differences have to do with it? the ultimate cause must lie in our biologies. humans are biological creatures, so there’s no way around it. we know that all behavioral traits are heritable, so we have to look to differences in the populations’ genetics and evolutionary histories. as i wrote recently: evolution in humans is ongoing, recent, can be pretty rapid (within some constraints), and has been/is localized (as well as global). in fact, human evolution has sped up since the agricultural revolution since the number of individuals, and therefore mutations, on which natural selection might work skyrocketed in post-agricultural societies. remember, too, that “every society selects for something,” and that we’re talking about frequencies of genes in populations and that those frequencies can fluctuate up and down over time. so there is NO reason NOT to suppose that the differences in behavioral traits that we see between european sub-populations today — including those between western and eastern europe — aren’t genetic and the result of differing evolutionary histories or pathways. even rapid evolution takes time, though. we’re not talking one or two generations, but more like thirty or forty — fifty’s even better. point is, evolutionary changes don’t only occur on the scale of eons. they can also happen over the course of centuries (again, multiples of centuries, not just one or two). the circa eleven to twelve hundred years since the major restructuring of society that occurred in “core” europe in the early medieval period — i.e. the beginnings of manorialism, the start of consistent and sustained outbreeding (i.e. the avoidance of close cousin marriage), and the appearance of voluntary associations — is ample time for northwestern europeans to have gone down a unique evolutionary pathway and to acquire behavioral traits quite different from those of other europeans — including eastern europeans — who did not go down the same pathway (but who would’ve gone down their own evolutionary pathways, btw). what i think happened was that the newly created socioeconomic structures and cultural (in this case largely religious) practices of the early medieval period in northwest “core” europe introduced a whole new set of selective pressures on northwest europeans compared to those which had existed previously. rather than a suite of traits connected to familial or nepostic altruism (or clannishness) being selected for, the new society selected for traits more connected to reciprocal altruism. before the early medieval period, northwest europeans — looking away from the urbanized gallo-romans who may have been something of a special case (more on them another day) — had been kin-based populations of agri-pastoralists whose societies were characterized by inter-clan feuding, honor/shame (vs. integrity/guilt), and particularism (vs. universalism). i think these traits were under constant selection in those populations because: reproductive success in those societies was dependent upon one’s connection to, and one’s standing within, the extended kin-group, so, thanks to being tied to kin rather than non-kin, nepotistic altruism genes would’ve been favored over reciprocal altruism ones; the extended kin-group was the element within which most individuals would’ve interacted with others, those others being related individuals who would’ve been likely to share the same nepotistic altruism genes (alleles) [see here for more]; and cousin marriage was rife, which again would’ve further fuelled the selection for these genes, since members of the same kin-group would’ve had an even greater likelihood of sharing the same versions of their nepotistic altruism genes. pretty much the opposite happened during the early and high middle ages in “core” europe. manorialism pushed for nuclear families rather than extended family groupings, and so people began to interact more with non-kin rather than kin, enabling the selection for more traits related to reciprocal altruism. the avoidance of close cousin marriage meant that family members would’ve shared fewer altruism genes in common, so any selection for nepotistic altruism would’ve slowed down. and once voluntary associations of non-kin appeared, the selection for reciprocal altruism really would’ve (or, at least, could’ve) taken off. reproductive success was no longer dependent upon connections to the extended family group, but, rather, unrelated individuals living with the community. the manor system developed in the 500s in “core” europe (austrasia), but did not arrive in russia (and much of eastern europe) until the late medieval/early modern period. (it never got to the balkans.) the extended family was most likely gone on the manors in the west by the 800s (see mitterauer), although it is conceivable that the nuclear families found on the manors in the earliest days were residential nuclear familes rather than the fully atomized ones that we see in the west today. certainly by the 1500s, there are no longer any traces of the extended family among “core” europeans (although there are still some pockets). the avoidance of cousin marriage was underway in earnest by the 800s (possibly earlier, but definitely by the 800s). it was still on shaky ground as late as the 1400s in russia. 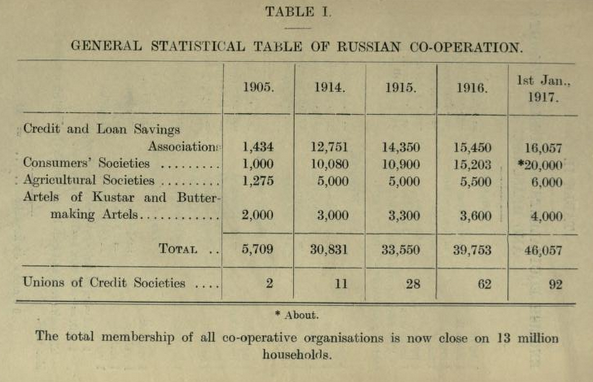 and, as we’ve seen, voluntary associations appeared very early in “core” western europe, but only very recently in russia (and, presumably, other areas of eastern europe). inside the hajnal line, which (imo) reflects the extent of the strongest selection for behavioral traits related to reciprocal altruism over nepotistic altruism, the populations have stronger democratic traditions, are more civic-minded, are less corrupt, and score higher on individualism (vs. collectivism) on hofstede’s idv dimension than the populations outside the hajnal line. 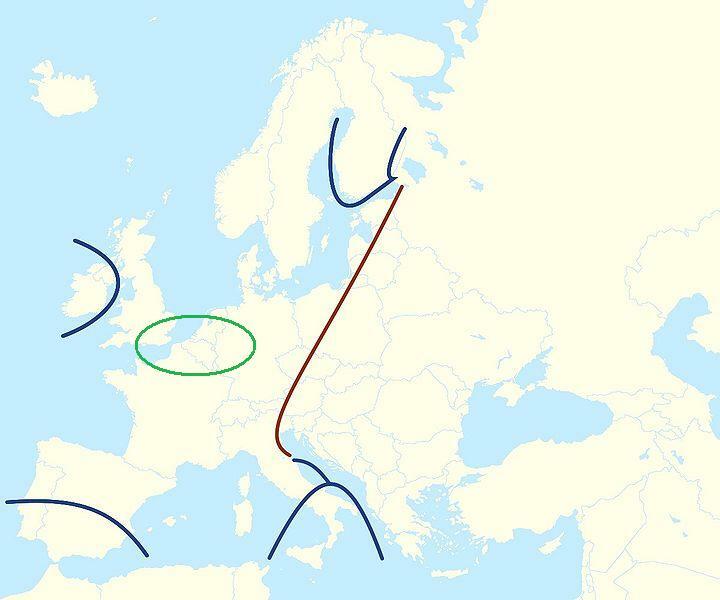 (please, see my big summary post on the hajnal line for more details.) all of these behavioral patterns “fit” better with the idea that these populations are characterized by innate reciprocal altruism tendencies rather than more nepotistic altruism ones. the populations outside the hajnal line seem to be more oppositely inclined. there is no doubt that soviet communism wreaked havoc on eastern european populations. some untold millions died in the gulags, families and towns and villages were ripped apart, political repression was beyond belief. 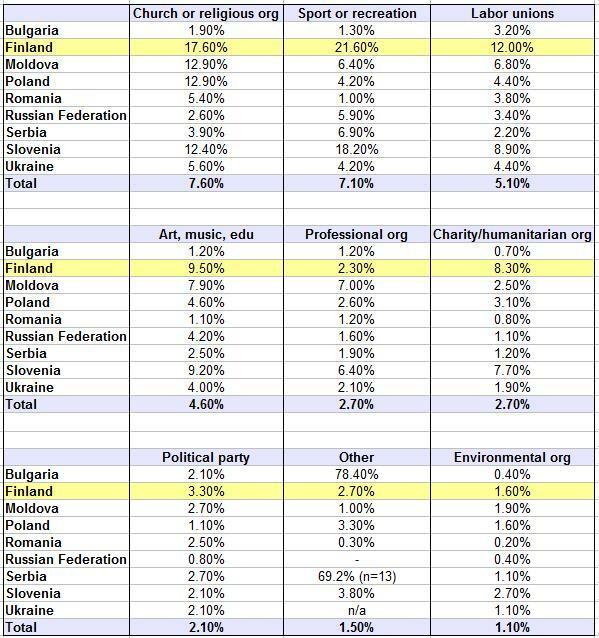 but smart money says that, along with civicness, many of the “non-western” features of contemporary eastern europe — high corruption rates, etc. — have deeper roots, and are not the consequences of communism, but rather of recent evolution by natural selection. altruism, biology 101, biology and behavior, biology matters, clannishness, different peoples is different (duh! ), familial altruism, genes for altruism, inbreeding, inclusive fitness, kissin' cousins, mating patterns matter, outbreeding, reciprocal altruism, relatedness matters, the evolution of altruism, what's this hbd business all about anyway? great. but what’s “closely related” or “unrelated” or “distantly related”? self-fertilization doesn’t really apply to humans (at least not very often — i hope), so where to draw the line between “closely related” and “distantly related”? i’m primarily interested in the evolution of altruism and other “innate social aptitudes” in man [pdf] — and here’s where inclusive fitness comes into the picture, btw — and the role that inbreeding and outbreeding might play in all that. inbreeding in and of itself does not change the frequencies of genes in a population — it just moves them around, concentrating them in certain lineages. 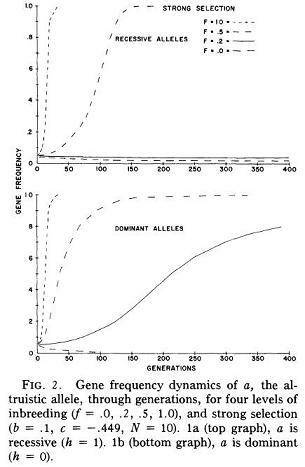 however, wade and breden showed in some mathematical wizardry modelling that, under certain circumstances, long-term, sustained inbreeding can, in fact, lead to increased frequencies of “genes for altruism” in a population. wade and breden looked at four inbreeding scenarios: 1) self-fertilization (doesn’t happen in humans); 2) if the mating individuals shared half (50%) their genomes in common (like parent-offspring matings or sibling matings); 3) if the mating individuals shared 20% of their genes in common (this is somewhere in between first cousins and double-first cousins or uncle-niece/aunt-nephew); and 4) if the mating individuals shared no genes in common (not the typical pattern in human matings). most human populations do not practice parent-offspring/sibling matings — in fact, it’s usually avoided and considered by most as really icky. 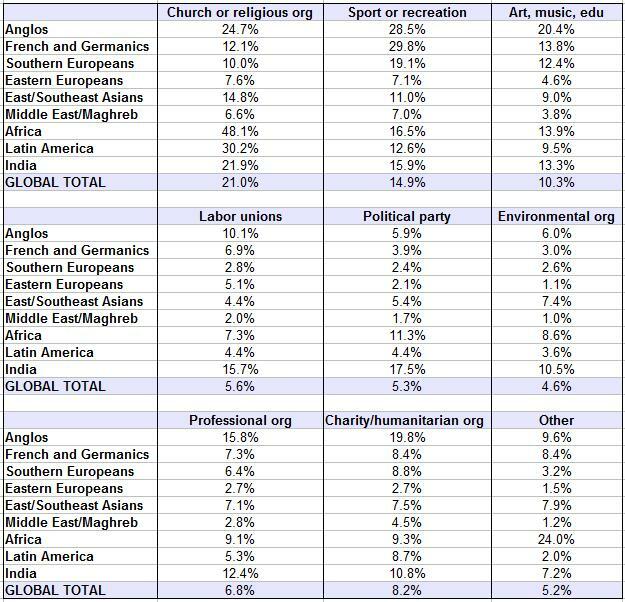 but quite a lot of peoples regularly marry first cousins, and some (in the arab world/middle east) even often marry double-first cousins — nor is the world short on uncle-niece pairings (southern india, for example — or hasidic jews). in clinical genetics, most researchers look at degrees of inbreeding that are between second cousins or closer, commonly referred to in the literature as consanguineous marriages. since i get a lot of my data on inbreeding from such studies, it’s kinda handy for me to define inbreeding as anything between second cousins or closer, but in reconsidering wade and breden’s results, i’m thinking that maybe i should only concentrate on first cousins or closer. for now i think i’ll stick to second cousins or closer, but i reserve the right to change my mind (it is a woman’s prerogative, isn’t it? still?). – inbreeding = in a population, a general pattern of regular and sustained mating between individuals who are related to one another as second cousins or closer. – outbreeding = in a population, a general pattern of regular and sustained mating in which individuals avoid second cousins or closer. notice the “regular and sustained” bit. that’s important. we’re not talking here about occasional marriages between cousins. it has to be a regular practice in a society. i’m not sure what the frequency of the inbreeding needs to be. it will vary according to population size, of course — the smaller the population, the more closely related everyone’s going to be anyway (e.g. the yanomamo). in a larger population? — dunno. definitely when 50% of marriages are consanguineous over the long-term i think the frequencies of “genes for altruism” are going to increase pretty rapidly (i’ll come back to what sorts of altruism in another post). 30%? probably. 3%? not really. outbreeding, too, needs to be “regular and sustained” to have any effect, i.e. to have a population slide back down wade and breden’s slope in reverse. one generation of outbreeding probably won’t have much of an effect, i think. evolution (natural selection) does take some time, after all. also, if one inbreeding group interbreeds with another inbreeding group, that’s NOT outbreeding according to my definiton. technically it is in biological circles, but if we’re talking about two populations that have been inbreeding for a long time and, therefore, have acquired a lot of genes for my “familial altruism,” then all they’re doing by interbreeding is swapping familial altruism genes. for example, if you’re the early medieval irish and are clannish because you’ve been inbreeding for who-knows-how-long, the “outbreeding” that you do with the vikings when they show up (probably) doesn’t count wrt altruism, because they’re a long-term inbreeding group, too. to have any effect on the frequency of certain “genes for altruism,” outbreeding — like inbreeding — needs, i think, to be regular and sustained over the long-term, as it was with europeans (mostly northwest europeans) since the early medieval period (see also mating patterns in europe series in left-hand column below ↓ for more details) and, perhaps, some other groups like the semai in malaysia. altruism, biology 101, biology and behavior, biology matters, congenital adrenal hyperplasia, CYP21A2, extended families, familial altruism, genetic similarity theory, inbreeding, inclusive fitness, mating patterns matter, reciprocal altruism, relatedness matters, what's this hbd business all about anyway? inbreeding in and of itself does not change the frequency of genes (alleles) in a population [pg. 65], but it does move them around, concentrating them in certain family lines. if, then, some sort of genetic mutation arises in one family line which, let’s say for the sake of argument, results in the carriers somehow behaving more altruistically towards their fellow family members than strangers, and this results in them being able to increase their inclusive fitness, then that genetic mutation will be selected for. it will really be selected for (i.e. the selection rate will be accelerated) because of the inbreeding because: 1) since the inbred family will have greater than average numbers of this “altruism gene” because it is inbreeding, its members will likely execute a greater total number of altruistic behaviors towards one another and, so, they will really benefit fitness-wise from this new gene. also, 2) perhaps — perhaps — all else being equal, the inbred family members will feel even more strongly altruistic towards their fellow family members than an outbred family would since they are so much more genetically similar to their family members. to be honest with you, i’m not so sure about that second proposition, so i’m just going to skip it for now and focus on the first one. if you have a bunch of different families in a population, and one of those families possesses some sort of “familial altruism” gene which means that its members help each other out (or whatever) more than the members of the other families do, and this increases the fitness of a majority of this special family’s members, then they are simply going to be more successful than the other families. they’ll leave more descendants behind and, thus, more of those genes behind. IN ADDITION, if this successful family ALSO inbreeds, each of its members is much more likely to have at least one, or even two, copies of this familial altruism gene, so more members of this successful family will be even more altruistic to each other and voilà! — they’ll increase their fitness and success even more than they would have done without the inbreeding. these familial altruism genes — genes that lead to behaviors in which individuals somehow favor their own family members over non-family members — and by family members i mean extended-family members — are only going to arise, of course, in a population in which there is more than one family. if you’ve got some tiny band somewhere that has absolutely no contact with any other group (doubt that’s ever existed), then my evolutionary scenario simply won’t happen. it’s the competition between the individuals from the different families that is driving this. naturally, genes in any population — even an inbreeding one — won’t remain restricted to any one family for very long. no family anywhere inbreeds 100% exclusively, so if some successful familial altruism genes do arise in some inbreeding family somewhere, they will quickly spread to the other families in that population. thus, there is probably an ongoing familial altruism genetic arms race in inbreeding populations. also, i think fewer familial altruism genes — or not such strong ones, perhaps — are going to arise in a comparatively outbreeding population. the accelerated selection due to the inbreeding won’t be there, nor will this arms race to keep one step ahead of the joneses when it comes to familial altruism. additionally, i think that in an outbreeding population, there’ll be greater selection pressures than in an inbreeding population for “reciprocal altruism” genes — i.e. genes which lead people to be willing to cooperate more with non-family members — since more of those sorts of behaviors will likely be required to be successful in life. so what do these “familial altruism” genes look like? or — ya’ll know that i’m kinda fascinated by interclan fighting which is the flip-side of being nice to your family (i.e. be extra un-nice to your non-family) — so maybe one familial altruism gene is the “warrior gene” (MAO-A gene)? dunno. increased aggression? fighting at the drop of a hat? interclan fighting? see where i’m going with this? of course, maybe these mutations in CYP21A2 aren’t being selected for for increased aggression/upside-down familial altruism. maybe it’s something else. witchel, et al., found that heterozygotes for mutated CYP21A2 alleles (i.e. individuals with just one copy of the cr*ppy gene) had increased cortisol levels and cortisol is, apparently, important for the immune system, so maybe these mutants simply survive infections better. others have found a possible connection between higher iq and CAH (masculinization = higher iq?) — see here and here and here — so maybe that’s it. or maybe these genes are not being selected for at all. however, fertility rates of people (women) with CAH are low, so it seems like a strange bunch of genes to have around if they don’t have some sort of benefit.